I have 137, 000 miles on my is300. ...at 130, 000 I heat staightened the head, milled it, 3 angle valve job, head gasket, water pump, timing belt, spark plugs, front crank seal.....the head gasket blew ten days after I bought it. ...my goal is not outrageous..maybe 400-450hp...with a standard trans...I have the vvti 2jz-ge..I know my weak links are the rods and my auto trans.....so I'm thinkin arp head studs...non vvti rods..new rod and main bearings..cylinder hone..new piston rings. .the r154 conversion...and I should be very happy then...boosted with more fuel and a tune of course. .. Sounds like your on the right track dude. The trans it self varies quite a bit in price. If your lucky enough to find one in the yard(not likely with crazygay240 hording them all) you would only pay $150. If your buying one anywhere else I would expect anywhere from $400-$2000. But don't pay 2 grand that's ridiculous but I have seen them posted for that. Lighter than a 2J and 3SGE. Proven reliability and power. Very possible it will be cheaper than installing a 1J/2J and sourcing an R154 OR doing a 3SGE swap. Think about it, all you will need is mounts and driveshaft besides the motorset. 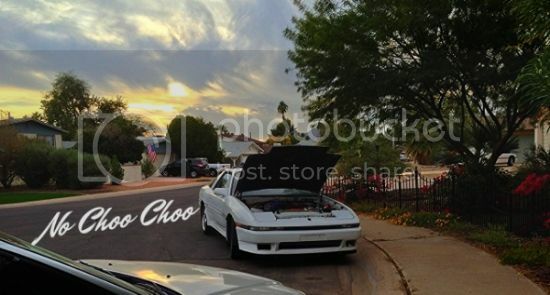 Sr20 your own car already! Or did you decide to go 1uz now? I can't keep up anymore lol! The motor currently in the car already makes the same power as a turbo sr20 red top. With the money it would take to upgrade the sr with bigger turbo, injectors, ecu he could just turbo the motor he already has. So I have to disagree completely with the sr swap into a IS300. I do like the sr btw I might swap my s13 with one. So it's not that I am anti sr. I got the mounts if anyone needs them.